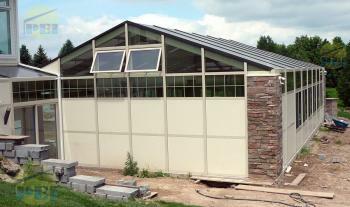 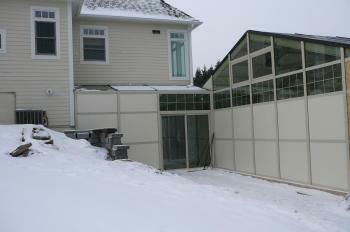 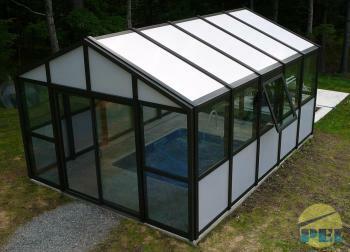 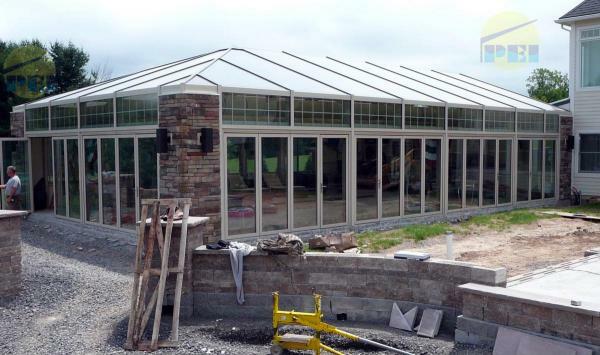 Below is a custom pool enclosure located in upstate NY. 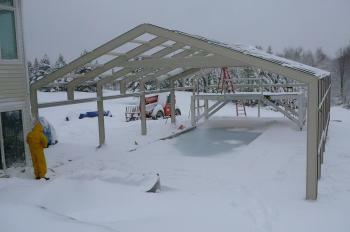 The 30' wide x 51' long x 10' eave ht. 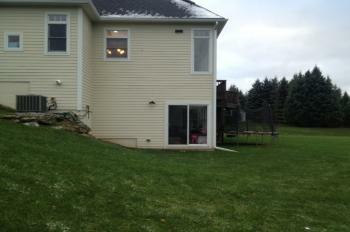 / 15'-6" ridge ht. 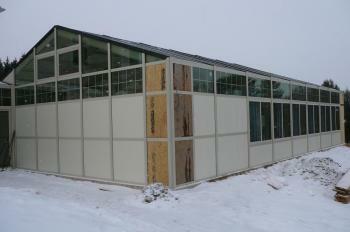 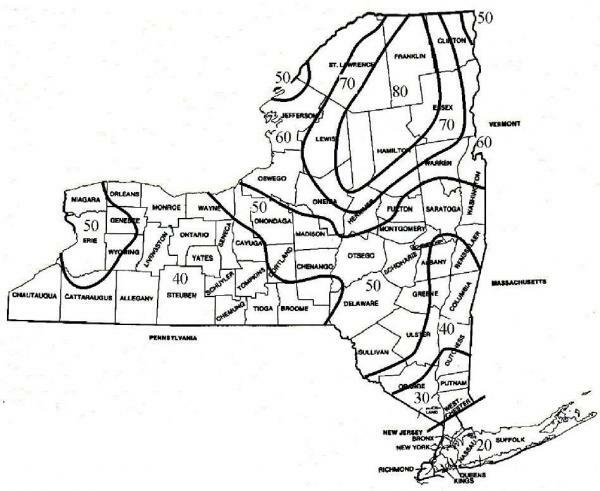 structure is engineered for local 50 psf ground snow loads and 90 mph wind loads. 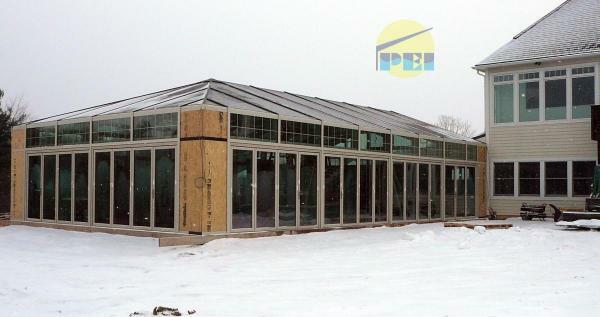 Some features include fixed 1" high performance low-e tempered insulated glass and aluminum faced foam-core panels, 25mm multi-wall polycarbonate roof glazing, 7'-3" x 12' wide folding glass walls, sliding and awning (crank open) windows, glass transom (located above the doors all around) with internal grids and an attached vestibule-equipment room to enter from the house. 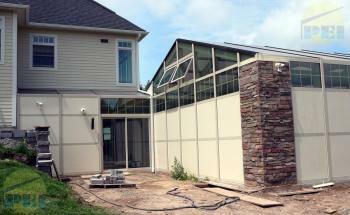 The structure included a custom beige baked enamel paint and stone wrapped corners. 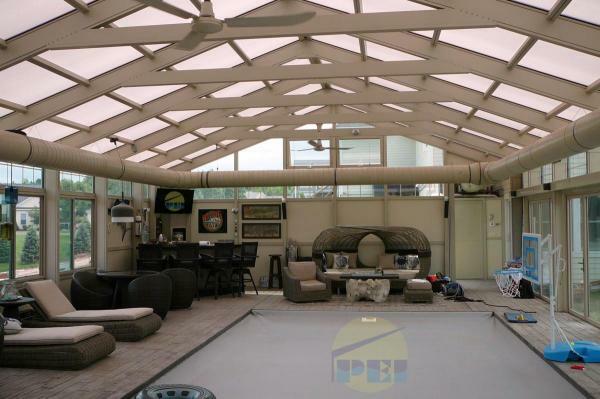 In-Floor hot water radiant heat augmented with a ducted forced air heat/dehumidification system was installed to supply plenty of dehumidified heat for a comfortable year-round swimming environment. 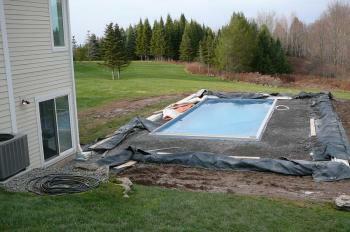 The 16' x 35' swimming pool had a built-in motorized pool cover to shut down the excess moisture during night time and non-swim times. 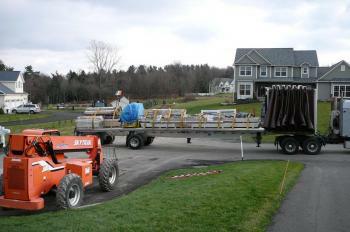 Photos progress from delivery through installation then completion. 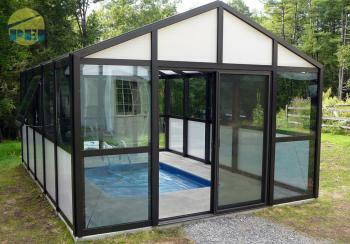 Below is a swim-spa enclosure in Saugerties, NY.